High mountains, volcanic soil, warm days and cool nights create the perfect conditions for growing some of this country’s best coffee. It’s recognized worldwide for being sweet, with high acid sensations. But Nariño’s isolated Pacific lowland jungles make it perfect for another crop: coca, the plant used to make cocaine. With its dense cultivations of coca, Nariño is an important stronghold for Colombia’s criminal groups. Ongoing fighting between government forces, illegal armed groups and guerillas has made access to the area’s farmlands difficult, and discouraged investment in the coffee sector. So most of these wonderful coffee beans get mixed into generic batches and sold on the mass market with little reward for their high quality. 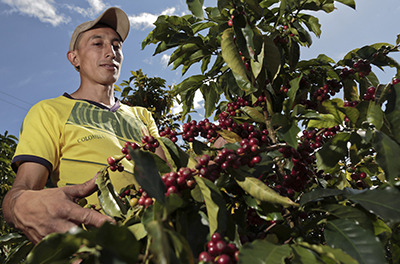 Few coffee farmers benefit from their world-class crops. And few coffee lovers ever taste the extraordinary brews. Catholic Relief Services is trying to change that through Borderlands, a 5-year project that is helping 3,200 family farmers in conflict-affected communities along the Colombia-Ecuador border. Sheridan, who has worked in the coffee sector in Latin America for more than a decade, knew there were “quality-obsessed” roasters in the United States who would love to get their hands on coffee from Nariño and would be willing to pay a premium for it. So he recruited a handful of players in the specialty coffee industry, including Stumptown, an Oregon-based coffee roaster, North Carolina-based Counter Culture Coffee and Intelligentsia Coffee, from Chicago, to serve on the project’s advisory council. For 2 years in a row, he has invited them to Colombia, to meet the growers, tour their farms and taste their coffee. During their first visit, the roasters judged coffee from 24 farms in the Borderlands project. Their average score: more than 84 points. Not bad, given that only 30% of specialty coffee falls between 82 to 85 points. Fidencio Chamorro’s coffee earned the highest score, 90 points, a number reserved for only the cream of the coffee crop. Without proper infrastructure, Chamorro is left with rudimentary tools. He hauls his harvest home by horse from his 7-acre lot perched about a mile away on the side of a 6,500-foot mountain. He dries his beans on the concrete patio outside his 2-bedroom house, the same patio where his children ride their bikes. When it rains—sometimes more than once a day—he rolls the beans in plastic tarps and stores them in the family’s spare bedroom, only to bring them out again hours later when the sun reappears. Then there is the issue of labor. Workers here can earn up to 5 times more cutting coca—as much as $25 per day—than they can picking coffee. So Fidencio often has to scramble to find the workers he needs to harvest his crop. But in 2013, he sold 330 pounds of his coffee to Intelligentsia Coffee. Last year, he sold even more—2,200 pounds—at a price that was almost double the local market price. Intelligentsia sold that batch, which it characterized as “irrepressibly sweet, with notes of mandarin, maple and candied pecan” on its website in record time. Fidencio also flew to Seattle last year with other Borderlands producers to attend the most important annual gathering of the specialty coffee industry. With newfound confidence and a little extra income, Fidencio has started investing in his farm. He replaced his hand-cranked pulper—the machine he uses to remove the ripe flesh of the coffee cherry before fermentation—with an engine-driven one. And he’s building a greenhouse for drying his coffee on elevated beds of steel mesh so they aren’t exposed to the elements and don’t touch the ground. He wants to build a proper storage unit eventually. Meanwhile, the Borderlands project is working with Chamorro’s municipality, Linares, to build one of Nariño’s first community washing stations. 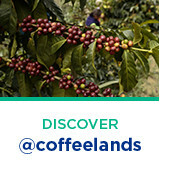 Without it, coffee growers process their beans on their farms. For Chamorro, that means washing and fermenting his harvest in large, plastic bins, which he fills using a hose in his front yard. Not only is the process time-consuming and inefficient, it compromises the quality of his coffee. Organizing farmers in Nariño and creating collective enterprises like the one in Linares is key to the Borderlands project. Only 2% of the growers who responded to the project’s initial survey reported selling coffee collectively, and fewer than 300 of the 40,000 coffee-growing families in Nariño are organized in the region’s only Fair Trade Certified cooperative. All told, Borderlands producers have sold more than 55 microlots like Fidencio’s to buyers in the United States. That’s proof that farmers in Nariño are growing the quality of coffee high-end roasters in the United States want to buy, Sheridan says. The challenge now, he says, is to help them grow more and higher-quality coffee and to continue building direct relationships with buyers in the specialty market. The government of Nariño is up for the challenge. It recently committed $7 million to expanding the project’s reach from 3,200 farmers to more than 10,000. “I realize you can’t do this in one day, but I know we can do it little by little. With the help of God we can keep going,” says Chamorro. 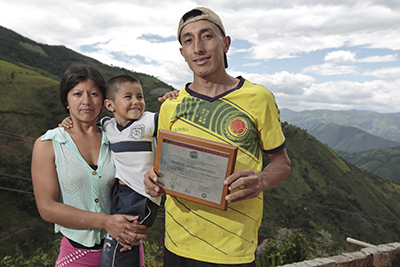 Already the $10 million Borderlands project has helped family farmers in a half-dozen communities in the Colombian department of Nariño to achieve many firsts: Their first direct connections with U.S. specialty coffee roasters. The first time they have organized to bring their coffee to market together. Their first-ever exports. The first time they have earned premium prices for their coffee.